BRIDGEWATER, Mass. – For two and a half quarters, eighth-seeded King Philip had top-seeded Bridgewater-Raynham on upset alert. Not only did the Warriors keep pace with the once-beaten Trojans, King Philip outplayed the hosts at times and opened the second half with an 8-4 run, claiming its first lead since the first minutes of the game. Just seconds after King Philip took a one-point lead midway through the third, the Trojans closed the rest of the quarter with a 12-2 burst that gave Bridgewater-Raynham the separation it needed, the end result a 68-50 win over the Warriors. A three-pointer at the halftime buzzer from KP sophomore Brianna James (seven points, four rebounds) cut the deficit to just three at the break, 28-25, and the Warriors’ defense helped spark an early run to start the second quarter. Back-to-back forced turnovers helped KP get off to a good start in the second half. 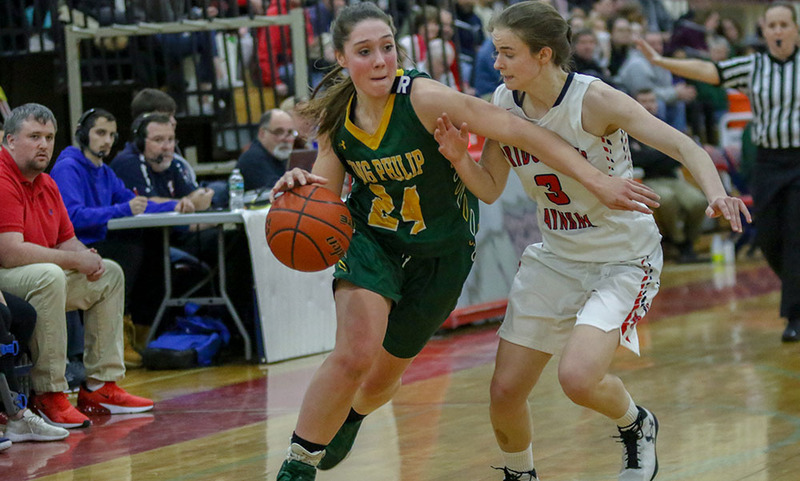 Faith Roy (six points, five rebounds) and Faye Veilleux (10 points, eight rebounds) got the Warriors within one and King Philip got back-to-back stops. KP jumped in front on a putback from Roy but B-R answered right away with a bucket from sophomore Kenzie Matulonis. The Warriors had an answer back as James drove to the basket for two for a 33-32 advantage midway through the third quarter, but B-R freshman Shay Bollin (22 points) gave the Trojans a huge boost. 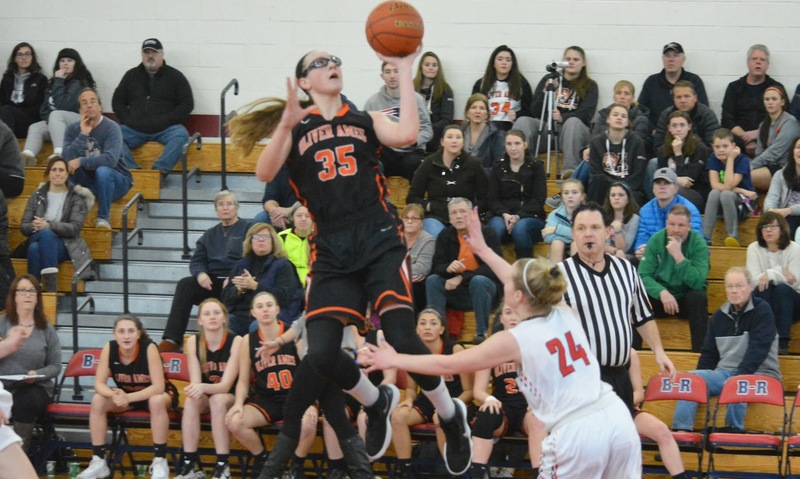 Bollin hit back-to-back threes, the second off an offensive rebound, Bella Calvani scored off a KP turnover, Bollin scored on a fast break, and Calvani converted a putback to give B-R a 44-35 lead heading into the fourth quarter. 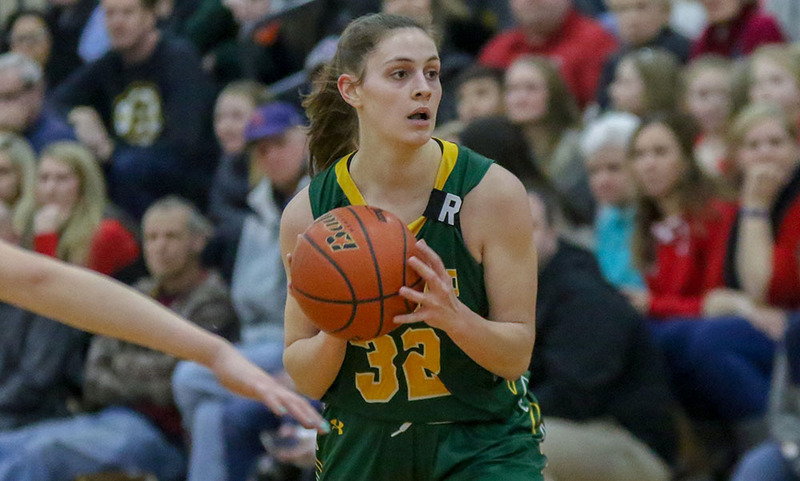 Bridgewater-Raynham had 18 offensive rebounds, eight of which came in the third quarter that helped the Trojans overcome King Philip’s strong start to the second half. “KP runs some fantastic sets,” said B-R head coach Cheryl Seavey. “Obviously she has coaching in her genes, I played with her sister in college, so coming in I knew they were going to be very well coached. Their five out sets, whenever they went to the three-point line they got something backdoor. They are a very technical team so we had to reinforce some defensive things so were important for us to be successful. To start the fourth quarter, B-R’s Marisa Beauvias sank a triple to put the Trojans ahead 47-35. 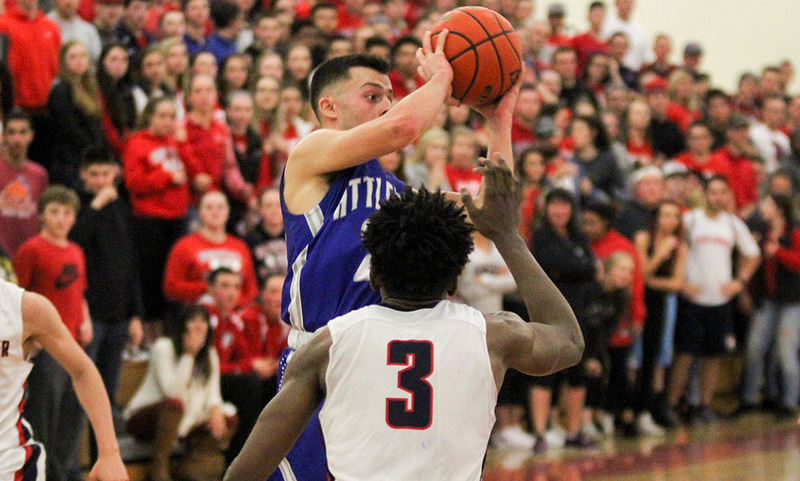 In the 15-2 run over the course of the final four minutes of the third and first minute of the fourth, Bridgewater-Raynham hit three of their four second-half threes. The Trojans’ lead ballooned to as much as 14 but the Warriors continued to battle back. Caroline Aaron (six points, six rebounds) found Taylor Butler on an inbounds play on the baseline and Butler converted the layup plus the foul for the three-point play. Shannon O’Connor (15 points, six rebounds), who missed most of the third quarter in foul trouble, sank a jumper to make it 53-42, but B-R responded with a 7-2 run. King Philip had nine turnovers in the first quarter alone but the Warriors’ defense prevented the Trojans from building a big lead early. James, O’Connor, Roy, and Aaron all scored in the first and the Warriors trailed just 12-8. 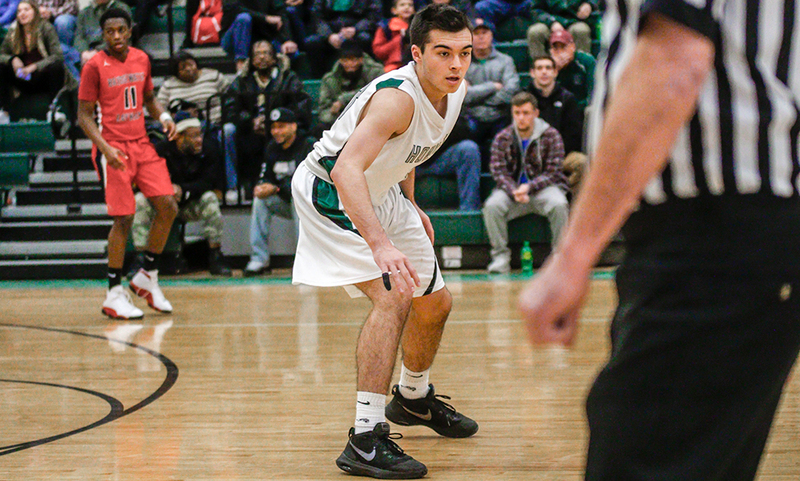 In the second quarter, the Trojans had a seven-point, and a six-point lead but King Philip kept it close with successful shooting at the free throw line. The Warriors went 10-for-11 from the charity stripe in the opening half to keep pace with B-R’s successful shooting. King Philip girls basketball finishes the season at 14-8. BRIDGEWATER, Mass. – Mansfield head coach Mike Vaughan couldn’t recall exactly what he said throughout his self described “eight-minute rant” during halftime of the Hornets’ matchup with Bridgewater-Raynham. But whatever he was selling, his kids bought it. The Hornets turned a 13-point deficit at halftime into an 11-point win with a dominant second half performance spearheaded by an active and energetic defensive effort. Mansfield limited the hosts to just 16 points in the second half to earn a 66-55 decision to conclude the 2018 calendar year. “I don’t know what I said exactly but something along the lines of ‘It was unacceptable, it’s not how we do things around here, and it’s not a level I want to play at,’” Vaughan said. With Mansfield struggling to find consistency on both ends of the court, a good Bridgewater-Raynham team took full advantage. The Trojans shot 7-for-12 from the field in the opening quarter to jump out to a 17-12 lead. And then Bridgewater-Raynham cashed in on a handful of open looks, taking of advantage of some switches and went a perfect 6-for-6 from three-point range in the frame. The Trojans scored 22 points in the quarter and opened up a double-digit lead, 39-26, after 16 minutes of play. The Hornets went to a full-court man-to-man press, using traps and double teams to get the energy going. The result was exactly what Vaughan was looking for and Mansfield worked its way back into the contest. After making just one three in the first half (on 1-for-8 shooting), the Hornets came out right away and ran a set play for Tommy Dooling (12 points), and he sank a three. Mansfield forced a turnover on B-R’s first possession, and although it didn’t turn into points, the tone was set. Mansfield forced seven turnovers in the third quarter, limiting B-R to just nine points. A strong take from sophomore TJ Guy (13 points) on a feed from Damani Scott (game-high 23 points, 10 rebounds) brought the Hornets within seven (39-32) but a 7-2 spurt from the hosts stretched the lead to 12 with two minutes left to play in the third. The Hornets had a strong response over the final moments of the quarter, going on an 8-2 run. Scott sandwiched a three-pointer between single free throw makes. Dooling drained a three from straight away with less than 10 seconds left to pull within six, 48-42, heading into the fourth quarter. 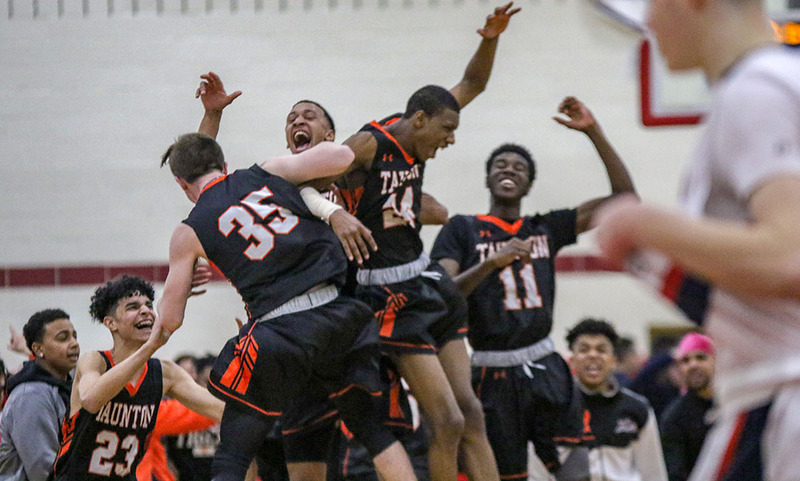 “I think at the end of the day, we were either going to lay over and continue to get our butts kicked or we were going to start to play hard,” Vaughan said. “I think we started to play hard and the full court pressured allowed us to do that, to hold them accountable for longer parts of the possession. It just boiled down to us having to play harder, play with an identity. It’s been a while since we allowed that many uncontested shots, and B-R is a good team, they are going to make those shots. They didn’t have many bad shots in the first. Mansfield forced five more turnovers in the final quarter and held the Trojans to just one made field goal. While the defense did its part, Mansfield’s offense finally got in gear and poured in 24 points in the quarter. The Hornets opened on a 7-1 run to take the lead with 5:21 to go in the game. Makhi Baskin started things off with a steal and easy layup and Guy used a nice spin move in the post to give the Hornets the advantage, 50-49. Scott finished off his own miss and the Hornets defense got a stop with Matty Boen being fouled while rebounding the ball. Boen drained two free throws to go extend the lead to 54-49 with 4:24 left. B-R countered with two free throws from Conor Rubenskas (21 points) and drew an offensive foul to get possession back. Both teams had empty trips before Rubenskas hit a tough baseline shot to make it a one-point game, 54-53, with 3:25 to play. 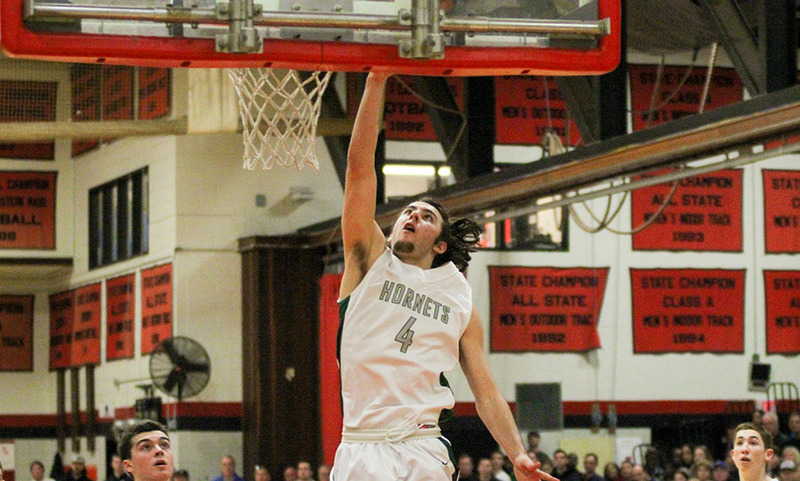 Mansfield quickly answered as Dooling found Guy for two and the Hornets press paid off, forcing a turnover. Scott hit one of two from the line to make it 57-53. Mansfield’s defense got a stop and got the ball in the hands of Scott. Scott, who had his way getting to the basket for the majority of the game, garnered a lot of attention and alertly handed a ball off to Boen for a left-handed take. 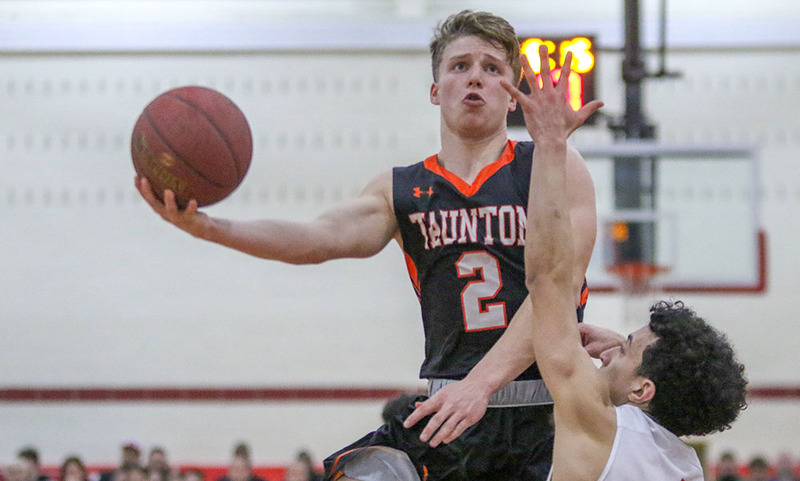 After the teams traded turnovers, the Trojans missed a triple on one end and on the other end, Boen penetrated the defense, forcing B-R to collapse. Boen alertly kicked the ball out and Guy drained a wide open three to make it 62-53 with a minute to go, securing the win. Guy had 10 of his 13 points in the final quarter. 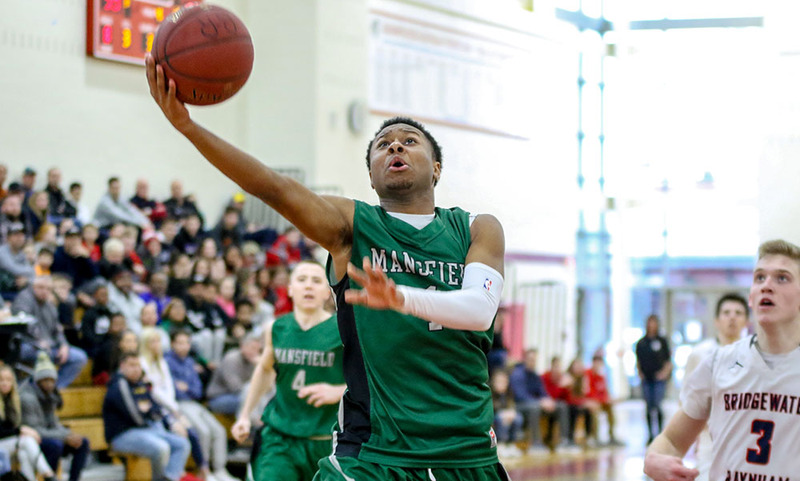 Mansfield boys basketball (4-1) returns to action Friday night for a key Kelley-Rex division battle against rival Franklin in a rematch of last season’s D1 State Final. 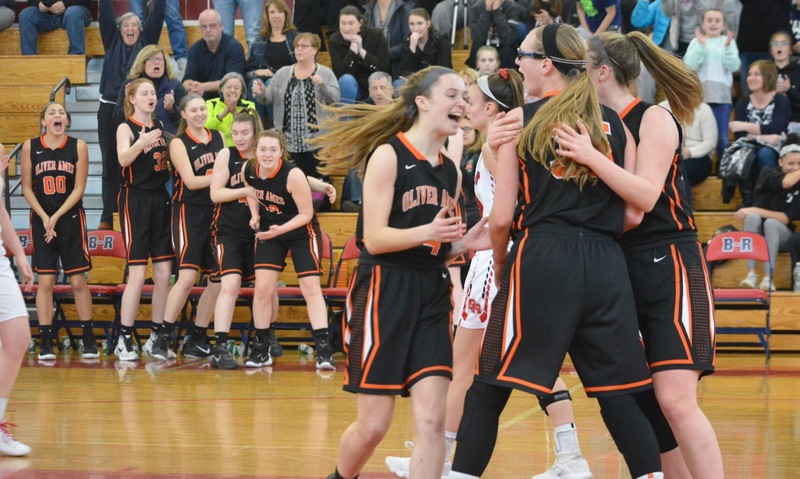 Click here for a photo gallery from Oliver Ames vs. Bridgewater-Raynham girls basketball at B-R in the Div. 1 South quarterfinal, 3-4-18.